When a traveling soap salesman arrives in a desolate Chinese town, a crime occurs, and sets the strange residents against each other with tragicomic results. 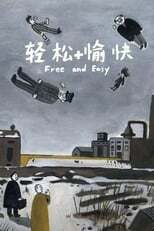 Free and Easy is directed by Jun Geng and was released on Jan 21st, 2017. Director Jun Geng's Comedy movie Free and Easy is produced by The Old Avant-Garde Films & U. Lan Media Hongkong & was released 2017-01-21.